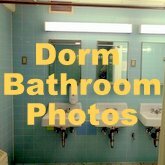 There are washers and dryers in select dorms across campus. To find out if your dorm offers laundry amenities, click here. If your dorm does not have laundry machines, you will have to carry your hamper to the closest building with washers and dryers. The washers and dryers are easy to use. The washer in this photo is more compatible with high efficiency laundry detergent, but I'm not sure if all washers across campus are this way. It takes less than 30 minutes to wash and about an hour to dry. The exact time varies and depends on what temperature option you choose. For the dryers, there's high, medium, and low temperature. There's also a temperature option for delicates too. 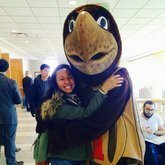 You can pay with quarters or with Terrapin Express. 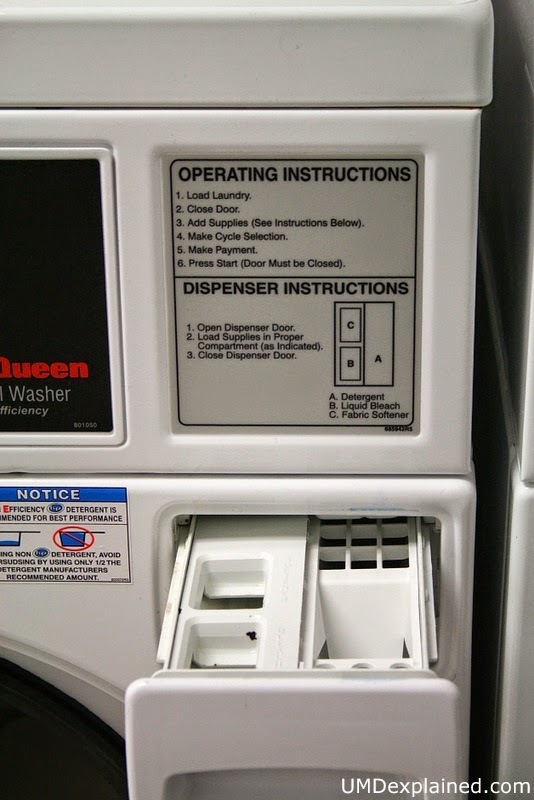 Insert quarters directly in to the machine. 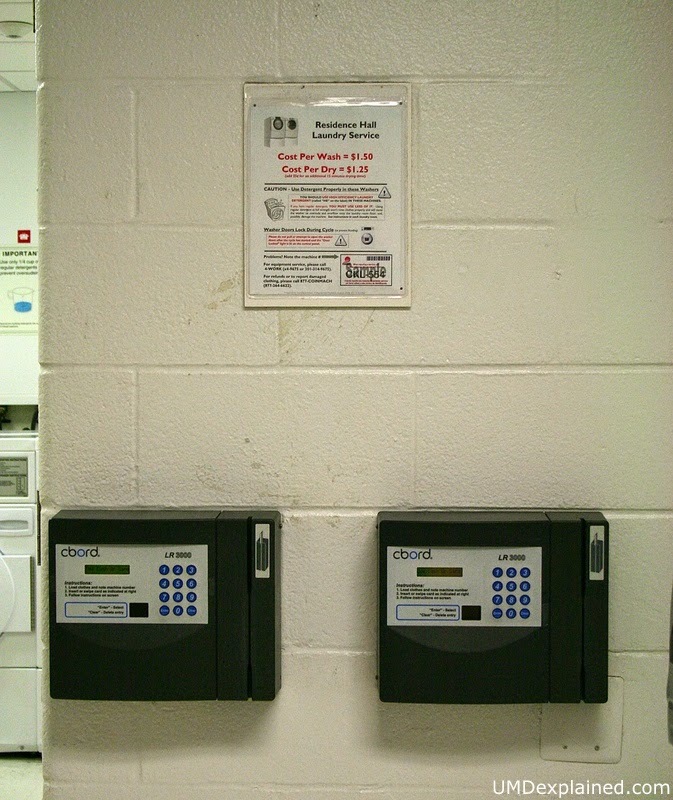 Change machines are located in dorm buildings (usually on the first floor). If you choose to pay with Terrapin Express, you swipe your UID on the black boxes (see photo above) and select which machine you are using with the key pad. Generally, the clothes than come out of the dryer are dry and not still damp. However, because the dryers can hold more than the washers, some people try to dry two loads of laundry in one dryer at the same time. You may need to pay for extra drying time (25 cent for 15 additional minutes) to get your laundry completely dry that way. People usually do laundry over the weekends, so there may be a wait for a machine then. But it's generally not too busy on weekdays. And as for whether people throw your laundry onto the floor if you leave it in the machine too long - I haven't seen this happen personally, but I've heard from other people that this has happened to them. So beware! 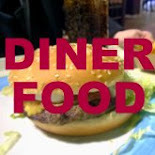 Great blog, and superb website. Thanks for the information!